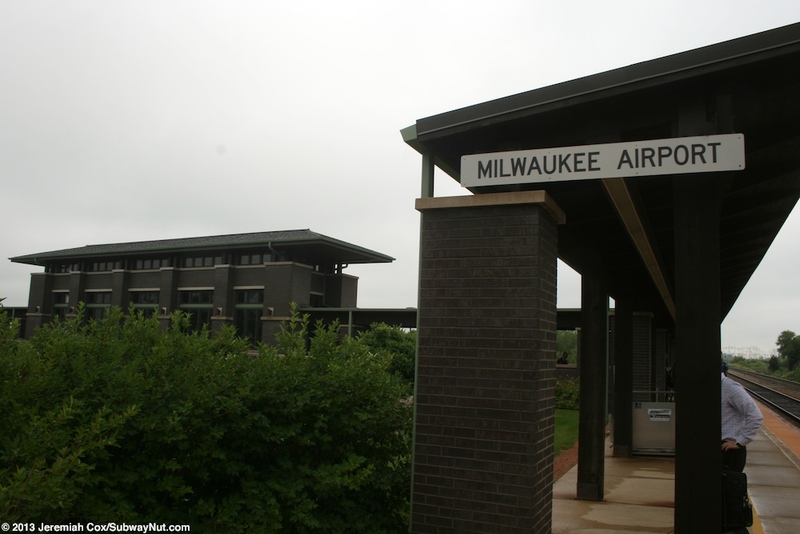 Milwaukee — General Mitchell Airport, Wisconsin opened as a new intermediate stop on the Hiawatha service (the Empire Builder has always bypassed the station) on January 18, 2005. 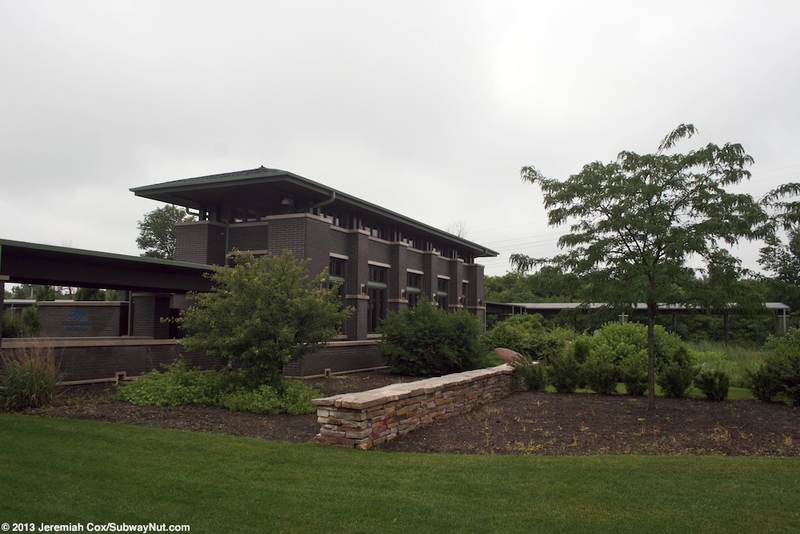 The station originally had a 400 foot long platform that in 2012 it was lengthened to 800 feet. 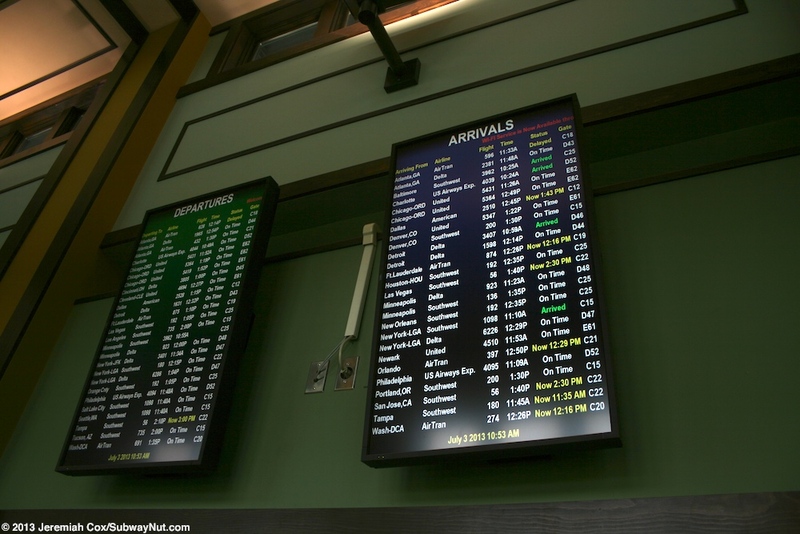 The station is a multi-purpose station located on the western fringes of the airport. It serves both airline passengers via a free connecting shuttle that is a cutaway van operated by private parking contractor and local train only passengers who are dropped off or Park & Ride at the station. This shuttle van also serves the SuperSaver remote parking lot. The stop for the shuttle inside the main airport terminal itself is relatively hard to find, the signage isn't good directing people to a middle pedestrian island along the roadway past the arrivals area. 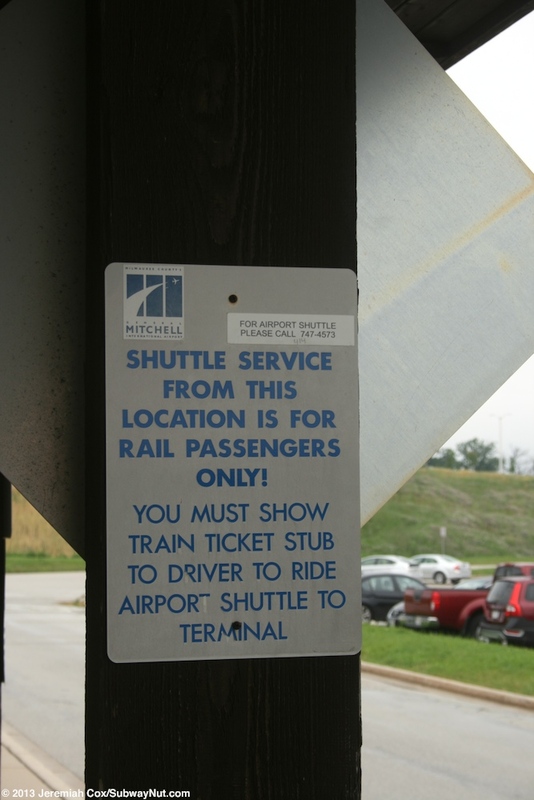 Signs at the shuttle stop in front of the Amtrak station claim it is for ticketed passengers only and an Amtrak ticket stub must be shown to use it to reach the airport. 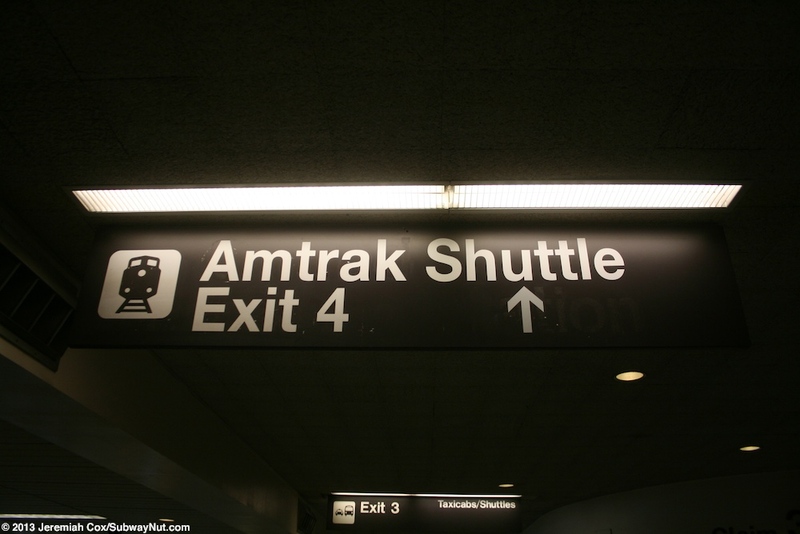 When I visited the station, I only rode the shuttle from the airport (I took the bus down from where I was staying in Milwaukee) and wasn't asked for a ticket as the only passenger on the shuttle to a quite crowded Amtrak station. 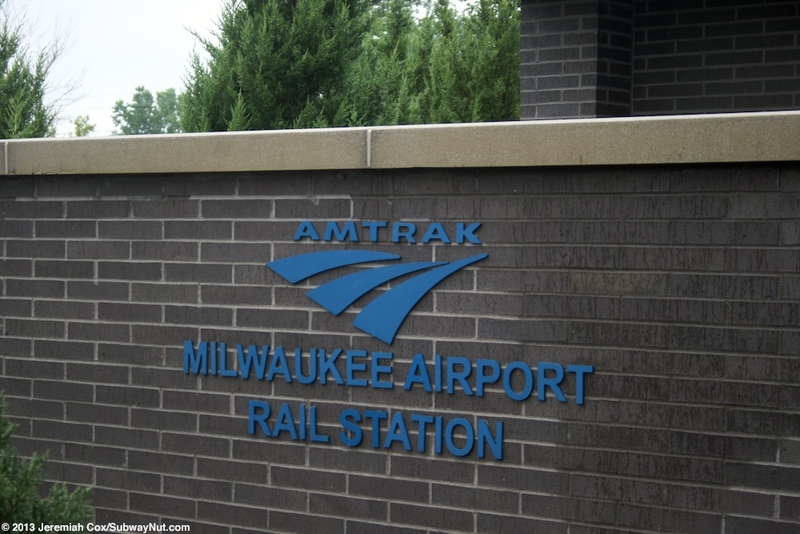 The station also serves residents from the Southern Milwaukee and the suburbs who want to drive to take Amtrak to Chicago and other destinations instead of dealing with parking in downtown Milwaukee or driving all the way south to Sturtevant (15 miles south of the airport station). 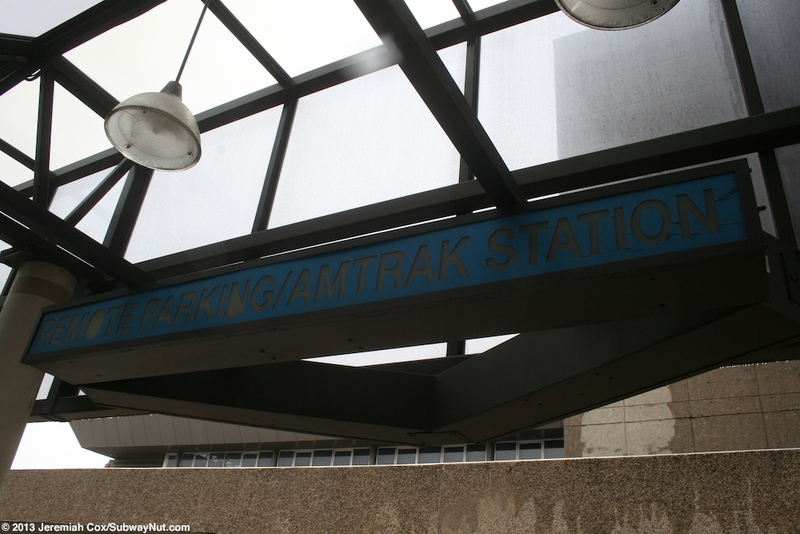 It has its own Amtrak passenger only parking lot around the station, within walking distance of the platform. Parking isn't free here, costing $6 per day, the same as the SuperSaver Parking lot nearby costs airline passengers. 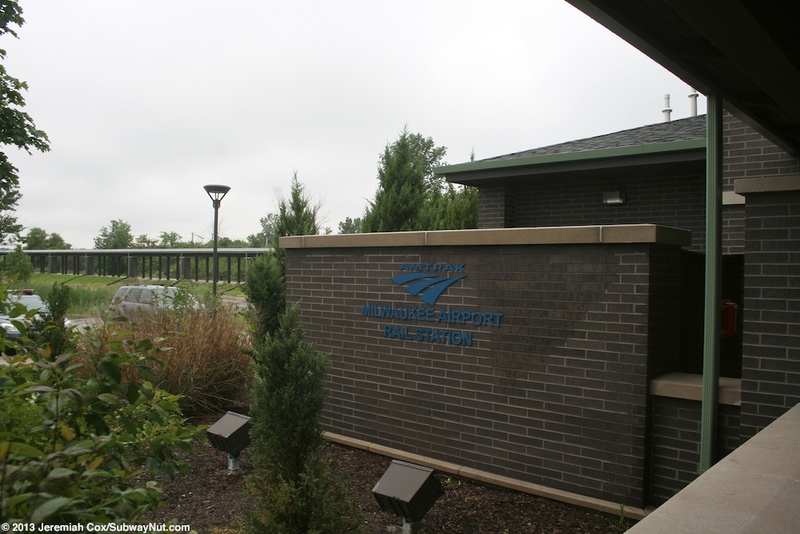 These many forms of connectivity have made the Milwaukee Airport the busiest unstaffed Amtrak station in the country (according to a Hiawatha Conductor) with 163,772 passengers boarding or alighting in FY2012. The stop has a nice small enclosed waiting area but wasn't designed to ever house a ticket agent. 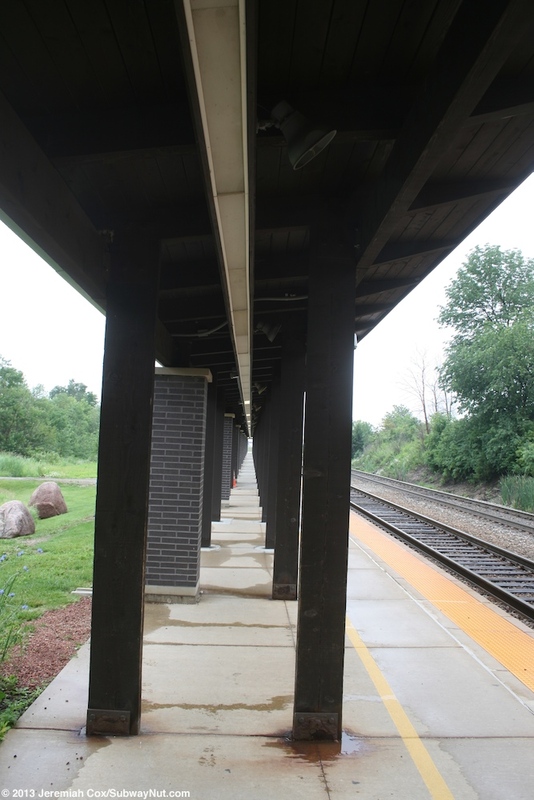 The station consists of a single side platform located on the eastern track of the two track railroad line. This platform originally had a wooden with some grey bricked around beams (a theme at this station) only for about a car length directly outside the station house. The recently completed platform extension project continues the canopy south with this design (and a cluttered look because of all the beams) so the southern half of the platform is now fully canopied. 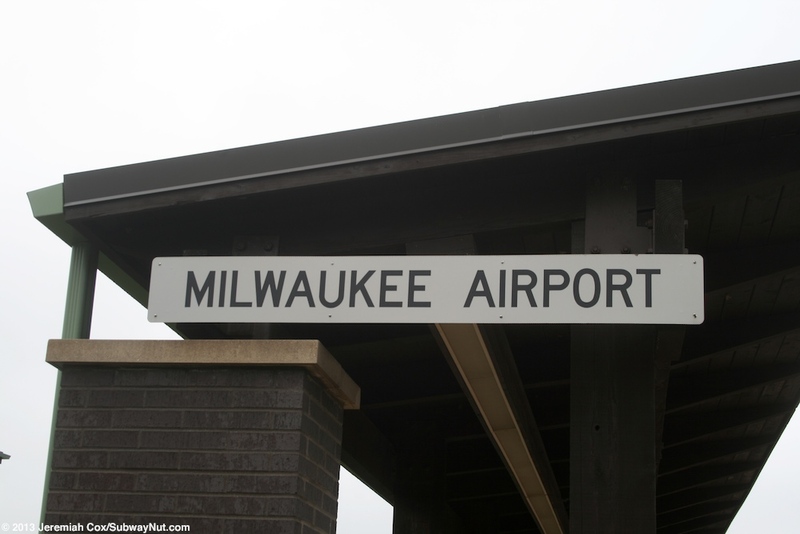 The northern half is exposed to the elements and ends just before the overpass of WI-119 — Airport Spur. 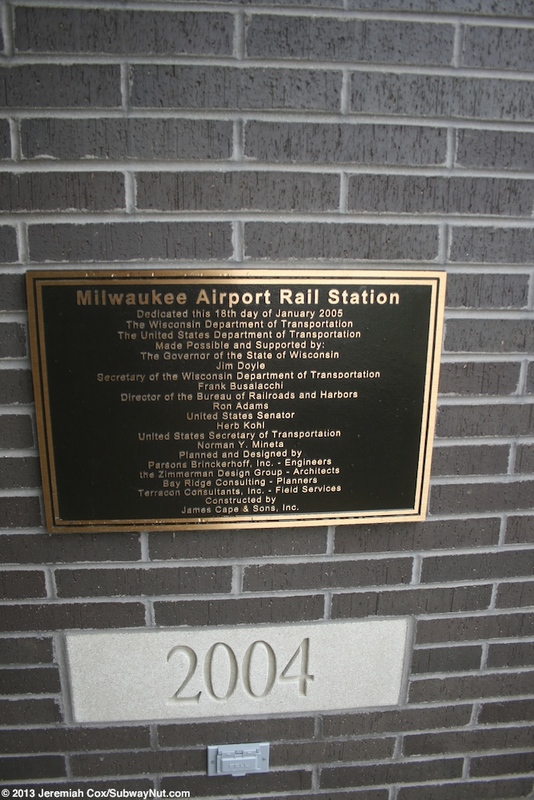 Platform signs are small, unique to this station, freestanding blue ones that say Milwaukee Airport. An ugly white reflective one is also at the end of the station's canopy. There is finally a wheelchair lift enclosure that was left open when I was there with the Mobile Lift out and sitting on a different part of the platform. 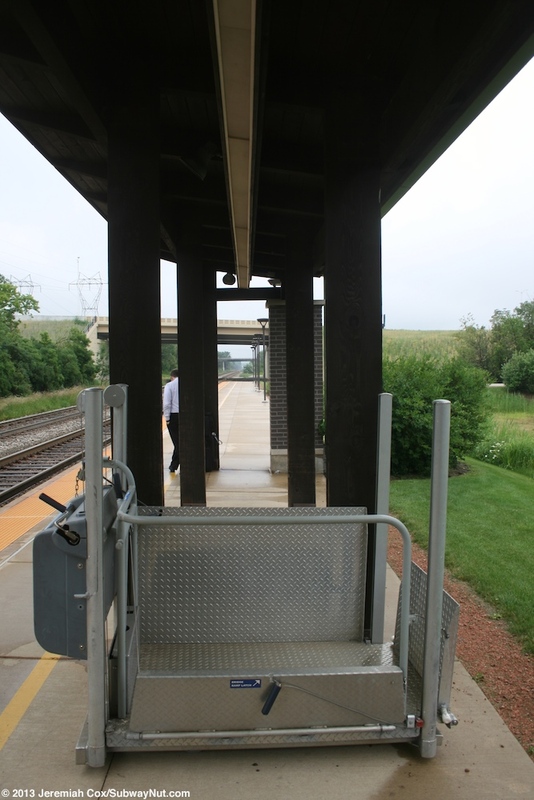 With the high ridership at this station and all Hiawatha trains consisting of single-level Horizon Cars this lift must get quite a bit of use. 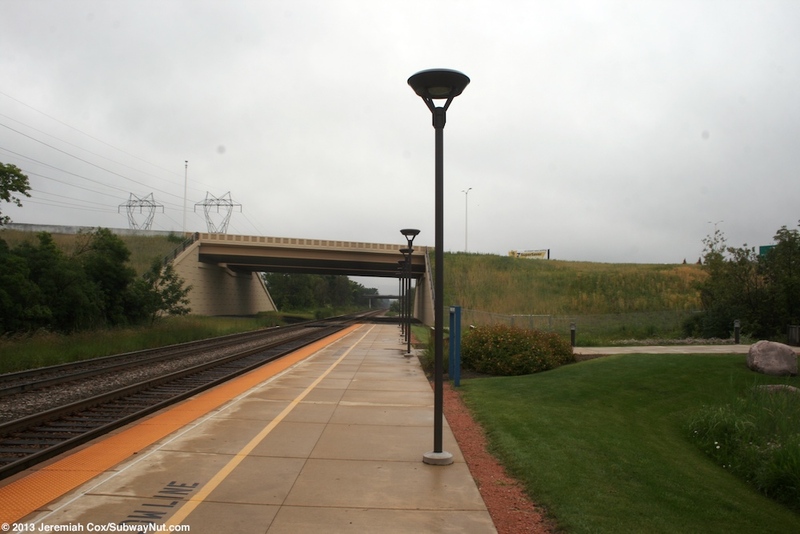 The station platform is about 200 feet from the access road (off of 6th Street) and the station's parking lot. 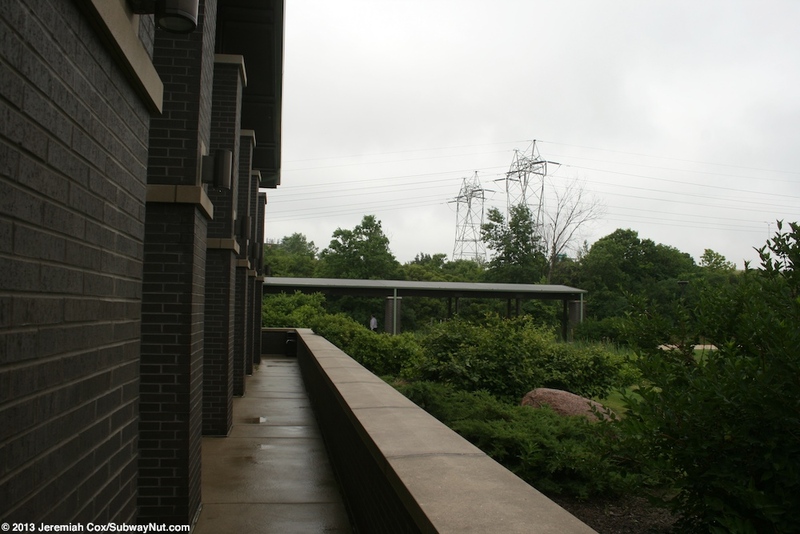 There is a nice stretch of greenery between the platform and parking lot that is clearly designed to try and help capture some rain runoff. To leave the platform are two exits. 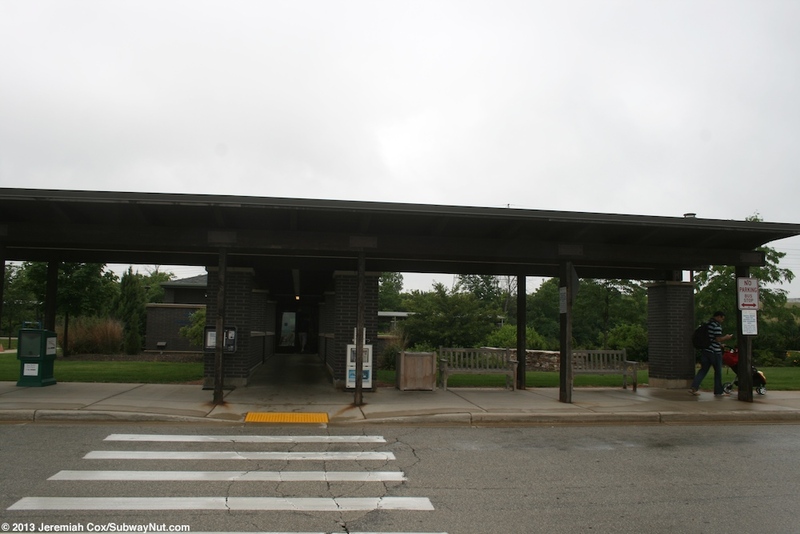 The simpler one is at nearly the northern end of the platform are two sets of metal bollards that lead to a sidewalk across to the northern end of the sidewalk that is along the station's driveway at the shuttle's stop and pedestrian drop-off area. The main exit provides a completely canopied walkway from platform, all in the same theme of gabled thatched roofs and oversized brick columns and low walls that form railings, to the drop-off and shuttle loop that has a small portion of the sidewalk along it covered to protect waiting passengers from the elements. 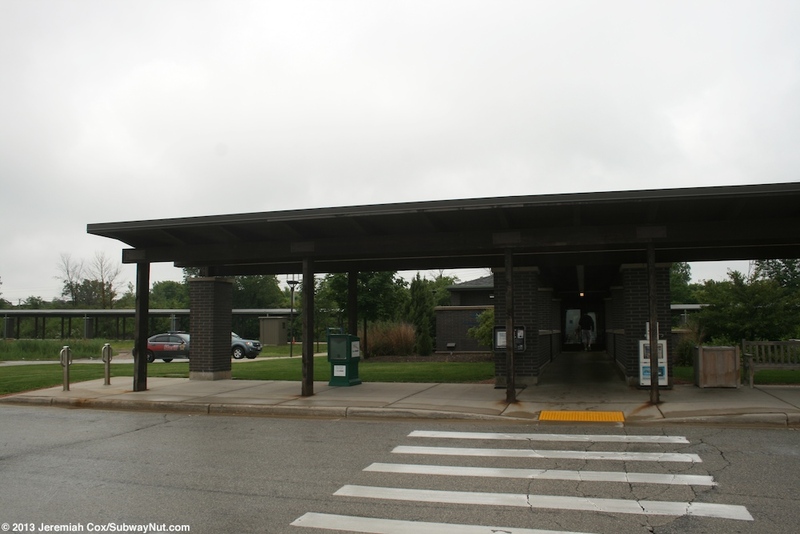 In the middle of the main covered walkway is a nice modern station house and enclosed waiting area. 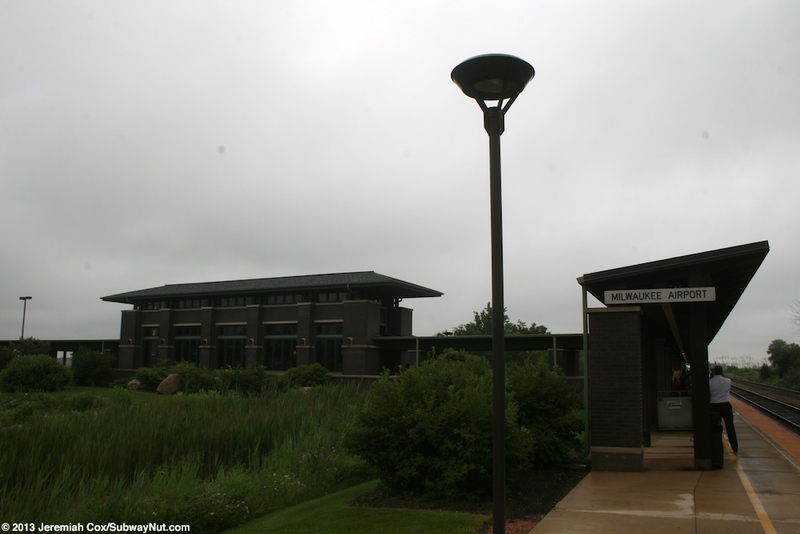 This station house has the grey brick exterior walls like the canopies but nice high ceilings. 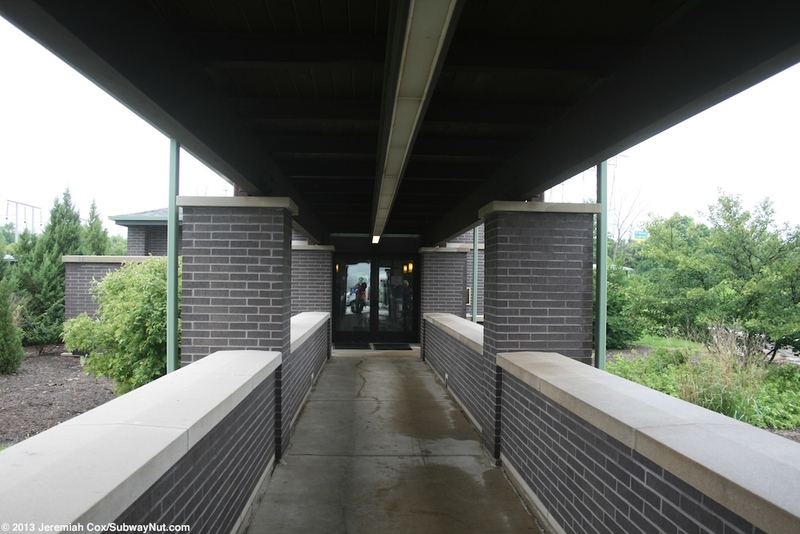 It is a narrow building that sits in the middle of the path from platform to parking lot. There is a way to walk outside and around it but its position means the most intuitive way is to pass through it even for exiting passengers. 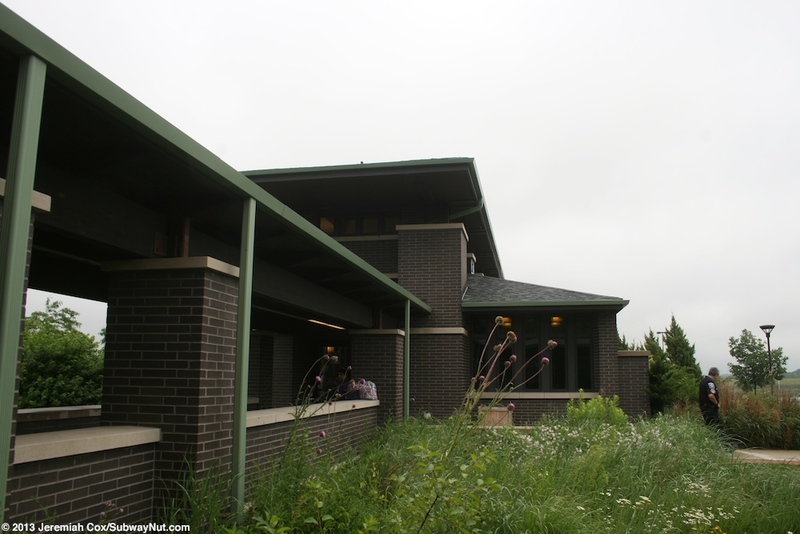 The interior of the waiting room has green walls with yellow accents on the actual pillars and bare wooden, cherry trim. 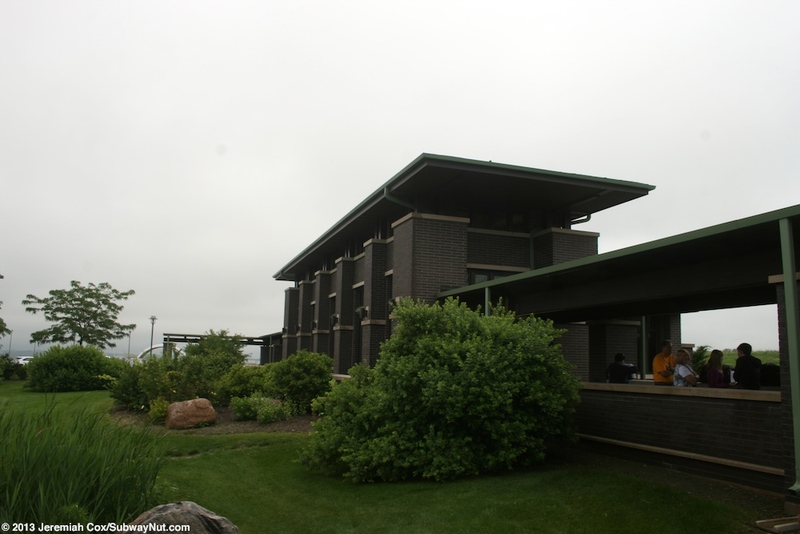 Although it is new and modern it was clearly designed to echo an old fashioned railroad station, not a light and airy airline terminal. It was though designed for the automated age with a couple of QuikTrak machines but no space for a ticket office and agent. Also inside are some benches for waiting passengers, brochure racks, restrooms, flight information displays and a vending machine. The wall opposite all these services has many windows (all small and framed) with built in wooden benches beneath the windows for waiting.